Attaining good position in society, and living debt-free is tough. It’s needless to say that financial independence is just another word for enjoying life and retirement. Scratching your head over this, won’t do you much good, so let’s unpack the formula. 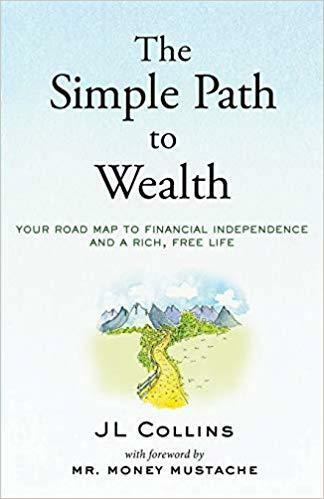 Who Should Read “The Simple Path to Wealth”? And Why? When the author talks about “simple,” he mostly refers to the power that is currently resting in your hands. So, no external elements could stop you in this pursuit, if you have the wits and fortitude to do what it takes. With that in mind, it’s pretty accurate to outline that “The Simple Path to Wealth” is prescribed for any person who wants to escape the difficulties of financial dependence. You’ll not be given a secret treasure map, but a proven approach that will likely improve the probability of achieving independence (in a financial sense). J L Collins is one of those guys you would say has a very “diverse” job experience. From picking up metal ice cream cans to hosting a radio show, he truly had ups and downs regarding his career choice. Having visited many countries and talked to a lot of people, he had this urge to share his encounters and revelations with the world. Apart from being a writer, he is also a blogger (JL Collins) who tries to spread financial knowledge. Even kids, broadly speaking, get the drift of what’s going on with the world, and how money is the great influencer. The so-called, investors who are making the case that everything related to investments is so darn complex, are lying to you. It’s in their best interest to make you dependent on their “expertise” while they rack up the profits. Also, the pursuit of financial independence mustn’t be associated with the notion of retirement. But, let’s take a quick throwback to where it all began. As a young boy, Collins had this intrinsic characteristic to earn and save money. He would go from door to door, picking up pop bottles and making a few bucks here and there. He also came to the conclusion that financial independence, is as much about being able to cover your needs, as it is about increasing your wealth. The learning curve took an unexpected turn, when J L Collins at the age of 25, decided to travel across Europe. At the time, he didn’t know that working conditions were negotiable. He went to his boss’s office and asked for four months of unpaid leave. Upon getting a firm “No,” he went home to give this whole pickle a second thought. After a while, he handed his resignation but was convinced to stay after he was given 6-weeks leave. That day he learned – I will never be a slave again. In the following years, he would experience a lot of ups and downs; unpaid leaves, tough decisions, remarkable revelations, and insights. But, it will always seem as if freedom is something that you should bend over backward to achieve. Unlike other books which put emphasis on buying your financial freedom, J L Collins puts stock in achieving it. Over to more serious business – Debt. The US alone has accumulated a debt of over $16 trillion, and while one side of the financial spectrum argues that it’s rejuvenating the economy, others fear potential collapse. More than half of the debt can be assigned to mortgage debt; also a substantial amount (in trillions of dollars) can be attributed to student loans. So, what should you do, if you already have one of these? Make a list of your spending habits, and debts ranked from the highest interest rate to the lowest. Don’t hire a consultancy agency to help you out in this endeavor, because they cannot make it less painful than it actually is. You and you alone must make this work. Once you have changed the ostentatious lifestyle into something more appropriate, then you can redirect the money towards investments. Is it going to be simple? – Yes, but not easy. Are there any good debts? Most people argue that mortgage debt is one of the very few ones, probably coupled with business loans that might generate a higher return on investment. But don’t be so sure. If you decide to build a home that far-greatly exceeds your needs, it might be hard to achieve independence. When it comes to student loans, in the 70s, let’s say it cost about 1500$ to get into college and pay off your first year. Although inflation had a huge effect on the overall economy, it’s very unethical to demand from 19-year-olds to take on a massive pile of debt, sometimes racking up more than 200,000$ in order to obtain a college degree. As one person put it – it’s like buying a brand-new BMW each year and then throwing it away. Another question that seems to be on everyone’s lips is – Can you retire a millionaire? Technically it is possible for middle-class people to reach the $1million landmark in their lifetime. It only takes around 2000$ a year of investment in the period of 30-40 years for one to reach that goal. But, money is a very relative phenomenon, and the ultimate goal is to achieve financial freedom. The secret is to spend less than you earn, invest the surplus and stay away from debt as if you are running away from the devil. This world has no shortages of people who have reached the sky, earned millions of dollars only to declare bankruptcy years later. In the graph above, we can see the industrial growth in the 20th century. This is nothing but proof that industries will continue to develop, and grow with probably more rapid pace in the 21st century. Obviously, we want the gains the market can deliver, but you must understand the timing. You buy a stock at let’s say 100$ and the value increases to 180$. We need to sell at this moment, but when do we roll back into the game? At 20% slump or perhaps you should wait for a genie to whisper in your ear? The point is – you need to be right twice (both high and low)! The sad reality is – nobody can do it, because if someone could, it would have been richer than Warren Buffett, to say the least. Do you start putting your money in an index fund, or perhaps going after top-notch companies? Don’t start at all, if you are not prepared to see your wealth fluctuating or diminishing. Not a good offer, ha? It’s true that the market will grow in years to follow, regardless of overnight drops and crashes like in 2008. They key to success is to keep it simple, and refrain from overreacting or being overly optimistic. Is your investment horizon long-term, or are you more into short-term winnings? When you give thought to these pressing matters and decide what kind of investor are you, then you can move on and create your portfolio. Stocks – should be at the core of your strategy. Jack Bogle, a renowned investor, and philanthropist who in his lifetime amassed a fortune of over US$80 million declared that not even he succeeded in besting the market. The concept of indexing revolves around the idea of buying stocks at a given index. The truth is – you can’t pick winning stocks and no one can. You can get lucky though, but in the long run – the house always wins. Intelligent and highly determined individuals see indexing as a challenge (probably to their vanity and intellectual capacity). There’s a great analogy that highly correlates with what J L Collins is trying to convey here. A couple of years back, he was taking street-fighting lessons. Before you decide to use kicking techniques on the street, ask yourself this question: ‘Am I Bruce Lee?’ If the answer is ‘no’ keep your feet on the ground. If you are not Warren Buffett, then please keep your money into your pocket. Don’t give it to a manager who promises you good results at the drop of a hat. The greatest irony regarding investing is that the more you mess around with your portfolio, the less well you’ll actually do. Put your eggs in one basket, and one day you might wake up rich. You would be surprised to know how much money you can save if you have a better plan. Put all the financial liabilities and costs that might incur (monthly) on a piece of paper, and eliminate everything that you can do without. Remember – A dollar saved is a dollar earned. Many investors argue that they can beat the system and beat it consistently. If they could, Bill Gates and Warren Buffett would be nothing more than mediocre achievers, compared to the skill-set of these people. That’s why you shouldn’t go for stuff that are too good to be true. Keep your composure, and actively invest over a larger period of time. Out of fear, or perhaps due to our survival mindset, we are compelled to act in a given manner. During this time, we feel this immense pressure and negative energy but are left with very few options. Money, on the other hand, gives you the freedom to do as you wish. Of course, there are some limitations, but much less than not being financially independent. The market is saturated with books and guides on how to get rich. But, not all materials have that actionable element in them. Unlike people who popularize the get-rich-quick-scheme, L Collins promotes a more steady and long-term strategy. In this book, you’ll find what it takes to increase your wealth and gain the much needed – financial independence. Just a regular guy with a knack for writing, and digital marketing. 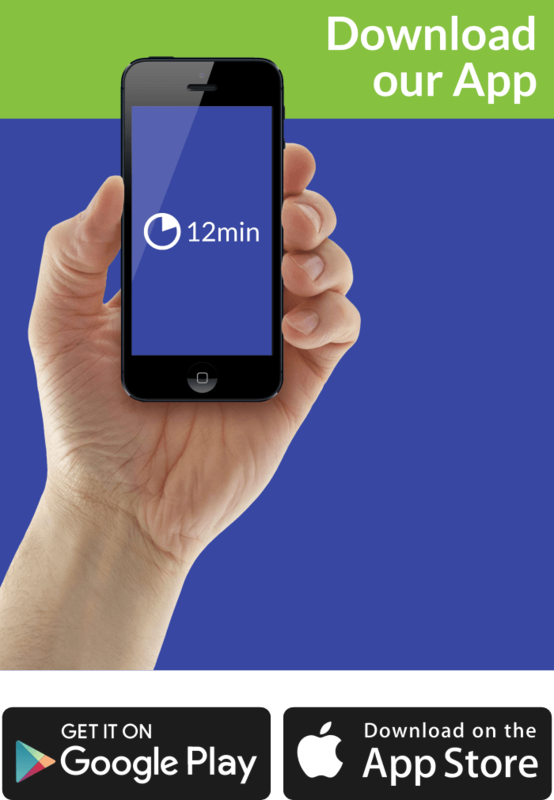 Emir is the Head of Content and SEO at 12Min. In his spare time, he loves to meditate and play soccer.